Tickets for guest nights at the Black Swan are available from www.wegottickets.com. Search under venue "York Black Swan" or click on the links in the listings below. WeGotTickets charge a simple 10% booking fee on top of face value and email you a booking reference rather than posting a ticket, meaning you can book until 6pm on the day. Bring the booking reference number with you but do not bother to print out the whole booking confirmation. Early booking is advised for very popular artists - we do sometimes sell out in advance! Special concessionary rates (half the normal price on guest nights) are available for under-18s and full-time students. All tickets are slightly cheaper if pre-booked at www.wegottickets.com compared to prices on the door. Early Music Centre concert tickets are handled by the NCEM Box Office, either online or on 01904 658338. Singers Nights are "pay-on-the-door" only events. This young man’s guitar playing has been hailed as “superb, brilliant, intricate and faultless” and his singing is also top notch. He certainly impressed us on his previous visit, in 2014, when he had barely turned twenty. Sunjay’s repertoire spans blues, folk and pop material plus originals, and he is a natural performer with great charm and self-confidence. 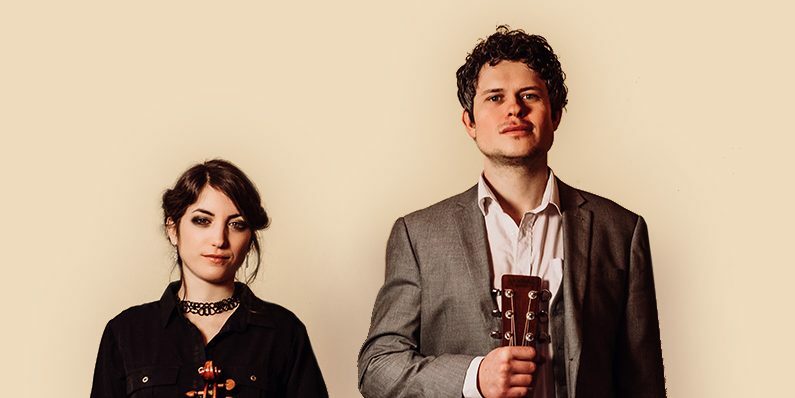 Rosie is a singer, guitarist and songwriter from Sussex who grew up surrounded by traditional music and is a former BBC Young Folk Award finalist, while fiddle-singer Rowan grew up likewise on the west coast of Ireland, where his father is a member of De Dannan. He now lives in England and amongst many other projects plays with recent club guests The Georgia Lewis Band. Together, he and Rosie will showcase material from her recent and well-received debut album Rise Aurora. This concert is now SOLDOUT. Yes, this event is already Sold Out! Grace Petrie’s unique takes on life, love and politics, and the warmth and wit with which they are delivered, have won her an army of loyal fans across the alternative, folk, political and comedy scenes. She has toured with Billy Bragg and Frank Turner, supported comedians Robin Ince and Josie Long, and collaborated with Leon Rosselson and Peggy Seeger. She is a frequent guest on Radio 4’s The Now Show and has appeared on Channel 4’s Random Acts. Her new album ‘Queer As Folk’ was released .last September. This concert takes place at the National Centre for Early Music, Walmgate, YO1 9TL. Comprising the award-winning Nancy Kerr on fiddle with James Fagan on bouzouki or guitar, Jess Arrowsmith on fiddle and Richard Arrowsmith on melodeon, and with all four of them being strong singers, this Sheffield-based but internationally renowned group has a reputation for state-of-the-art modern British folk music that truly connects with audiences. They have a rich repertoire of both a-Capella and accompanied traditional songs, alongside self-penned numbers that merge seamlessly into the folk canon, and they also excel at instrumental sets that re-invigorate social dance rhythms from Britain and beyond. This is an auspicious return visit to the NCEM. PLUS SUPPORT from local trio The Old Humpy Band. With influences from early music through Playford and Morris to prog rock, soul, and pop, this band feeds folk music through their unique steam driven sound-mincing engine! Ed Beasant (melodeon), Tom Kitching (fiddle) and multi-instrumentalist Jon Loomes are joined by Jude Rees, ex Isambarde (oboe, vocals) and Heather Sirrel (bass). This appearance replaces the one in March last year which was scuppered by heavy snow. Don’t miss this chance to experience Bob’s warm, rich voice, virtuoso guitar playing and newly honed melodeon skills. 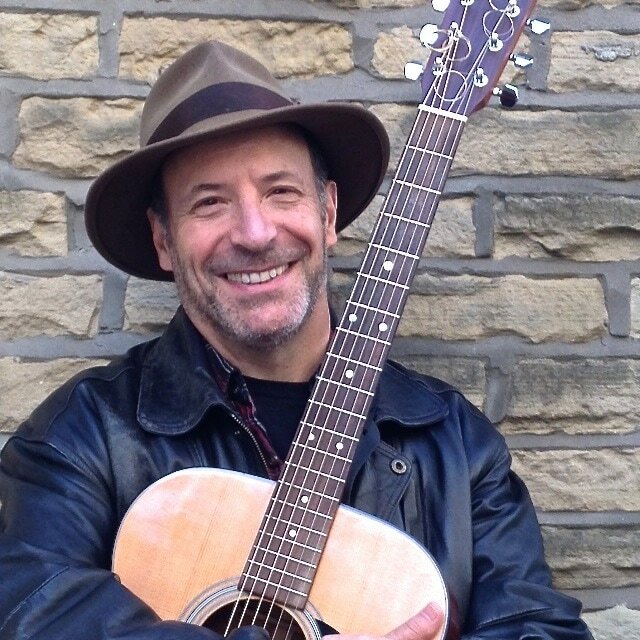 Expect to hear songs of love, joy, work and humour as he performs material from WarHorse (in which he played Songman for much of the last 8 years) alongside songs from the new Radio Ballads and old favourites from his native North East and beyond. Advance booking advised! Katriona (fiddle, mandolin) and Jamie (guitar) combine astounding musicianship with strong song-writing and trademark harmonies to create a powerful wall of sound. 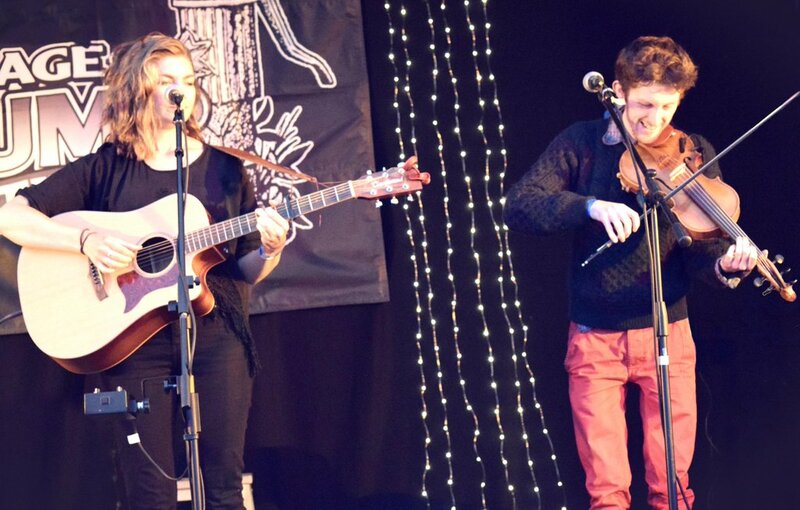 They have done great things since first playing here as Leeds students all of 12 years ago – three BBC Folk Award nominations, touring with Fairport and much, much more. They released an acclaimed fifth studio album, A Problem of Our Kind, only last October. Bill (Belinda) Jones was a widely admired young singer in the early 2000’s, winning the Horizon (Best Newcomer) BBC Folk Award in 2001, releasing three albums, doing many festival appearances, and touring across the UK and beyond, including three visits to York. She took a break in 2004 to raise her family and was much missed, but now she is finally returning. A new CD of traditional, modern and self-penned songs is imminent, all in her appealing and accessible style, and she has summer tour dates in Britain and USA. Let’s welcome her back. It is our pleasure to once again present a full evening with this much-admired local singer. Expect a sublime choice of modern folk and pop covers, mingling with some well-crafted originals, and all accompanied by subtle and supple guitar playing. We continue our fundraising efforts for the Motor Neurone Disease Association with a fun night head lined by our “house band” Ramshackle, compromising club residents Eddie Affleck, Phil Cerny, Chris Euesden, Stan Graham and Judith Haswell. Expect a light-hearted mix of mostly familiar songs with plenty of banter and lots of opportunity to sing along. Other local artists will also be appearing, still to be finalised when we went to press. Last summer we had a great “club swap” with the lively Crookes Folk Club in Sheffield, so much so that we are now repeating it. 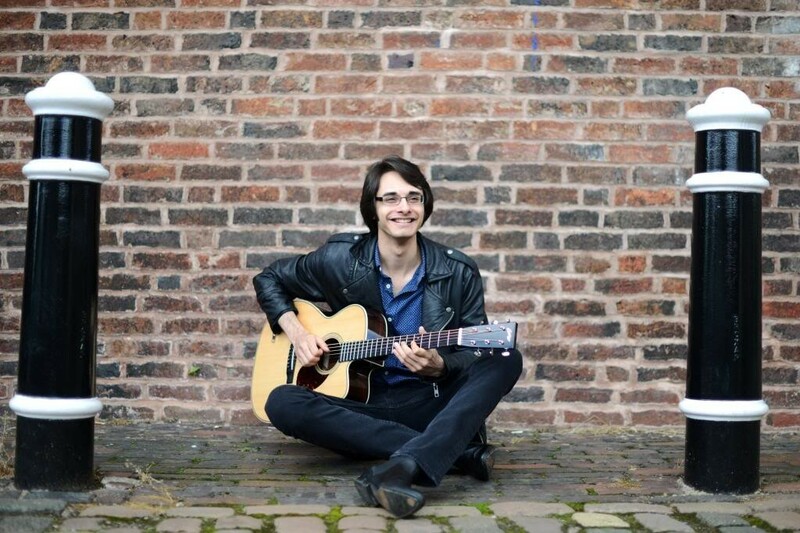 Ramshackle (see above) will visit Crookes on 9th August and tonight we welcome several of their residents to York: classical guitarist Stephen Bolton, Pete Gilbert, doing original songs and covers, singer/songwriter Charlie Osguthorpe and the group Soapstone Dragon. 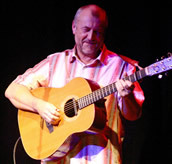 One of our favourite performers, Martyn has been a fixture on the English folk scene for over 50 years. 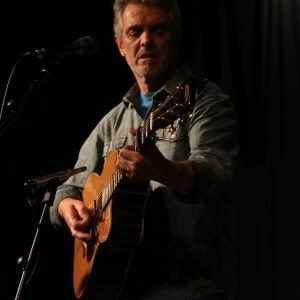 A golden voiced singer and a deceptively modest guitar accompanist, he mixes traditional ballads with songs learned in his youth in Australia and choice contemporary numbers, including some by our own Stan Graham. Tonight he is joined by Iris Bishop, one of this country’s outstanding concertina and accordion song accompanists. The Furrow Collective is an English/Scottish band consisting of four talented and individually prominent performers: Lucy Farrell (viola, voice & saw), Rachel Newton (harp, fiddle, voice), Emily Portman (banjo, concertina, voice) and Alasdair Roberts (guitars, voice). The group formed in 2013, drawn together by a shared love of traditional song and balladry of the England, Scotland and beyond and an open, intuitive approach to collaboration. In recognition of their innovative approach, The Furrow Collective were awarded the accolade of 2017 BBC Radio 2 Folk Awards ‘Best Group’, hot on the heels of the release in late 2016 of their second album, Wild Hog (also on Hudson Records). November 2018 saw their third album ‘Fathoms’, produced by honorary fifth-Furrow Andy Bell. On it, the group build further on their substantial reputation for breathing new life into old folk songs. The Furrow Collective tour extensively throughout the UK as well as in mainland Europe, delighting audiences with their uniquely beguiling approach to traditional song, and now comes their York debut. Iain Matthews’s critically acclaimed memoir Thro’ My Eyes was written in collaboration with author, broadcaster and storyteller Ian Clayton. The book is structured around a series of Matthews’s songs and illustrated by the stories that inspired them. Tonight they bring the book to life with a new music and words show. Ian Clayton will read stories from the book interspersed with live songs from Iain Matthews. The show will follow the story of Iain’s life, from a Scunthorpe childhood obsessed with football and music, to thrusting himself into the heart of Carnaby Street in the swinging-sixties. In 1967, he was recruited as lead vocalist for folk-rock pioneers Fairport Convention before embarking on a hugely successful and prolific career as a solo artist and in the groups Matthews Southern Comfort and Plainsong, including a No. 1 ht single with ‘Woodstock’. In 1973,when an invitation was extended to record in LA with ex-Monkee Michael Nesmith, Iain took it with open arms. The opportunity to work with musicians and songwriters he had admired from afar led him to stay; he lived and worked in the USA for the next 27 years, through highs and lows, with extended stints in Los Angeles, Seattle and Austin. In 2000, in an an act of personal and professional renewal, he moved to the Netherlands, where he still lives and works to this day. Throughout those fifty years, Iain has never stopped working, with music driving him forward every step of the way. The show will be a highly entertaining and intimate occasion, rich in stories and wonderful live music, presenting the story of an artistic life through the eyes of one of our most enduring singer-songwriters.